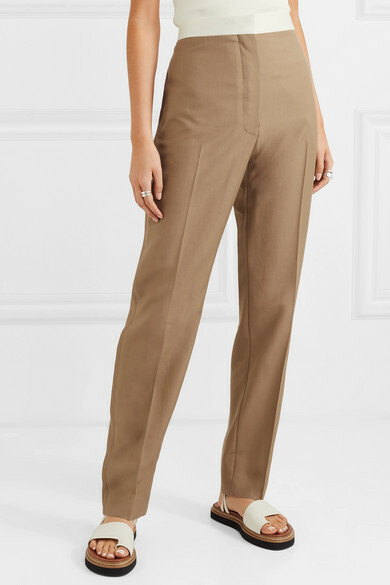 Our Global Buying Director Elizabeth von der Goltz loves how classic yet distinguished Loewe's clothing is. 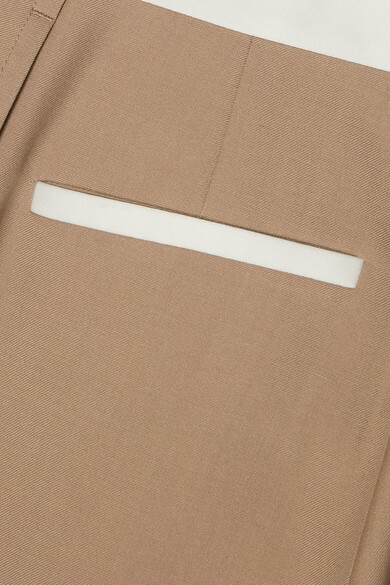 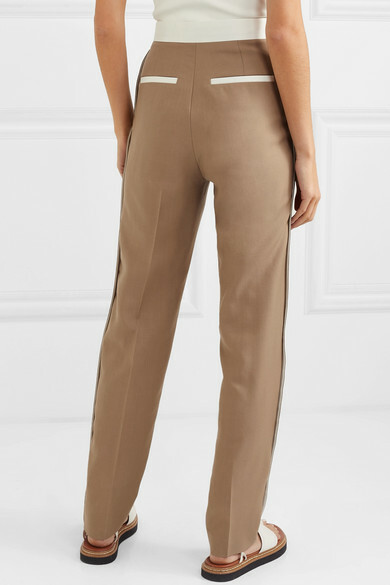 The perfect example, these slim-leg pants have been expertly made in Italy from soft beige wool detailed with ivory strips at the waistband and pockets. 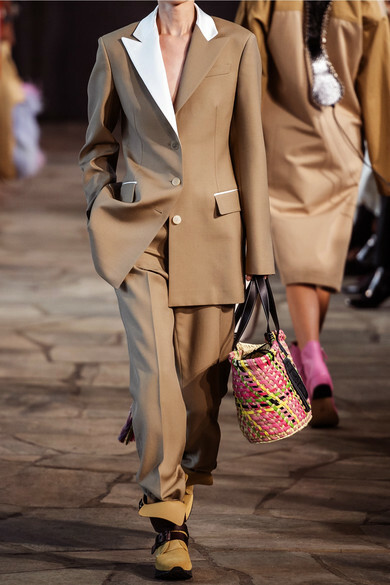 Team them with slides, or take cues from the Spring '19 show and wear yours tucked into ankle boots. 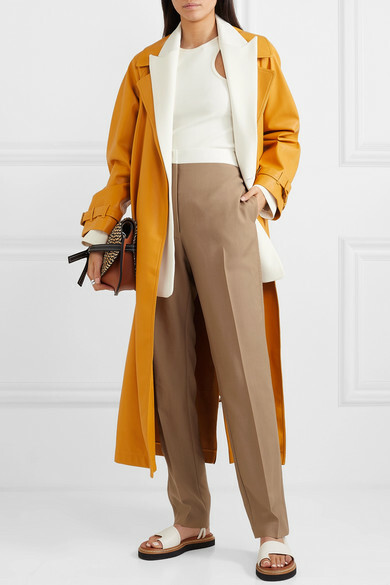 Shown here with: OCHI Trench coat, Joseph Blazer, Loewe Shoulder bag, 3.1 Phillip Lim Sandals, Paola Vilas Ring, Sophie Buhai Rings.